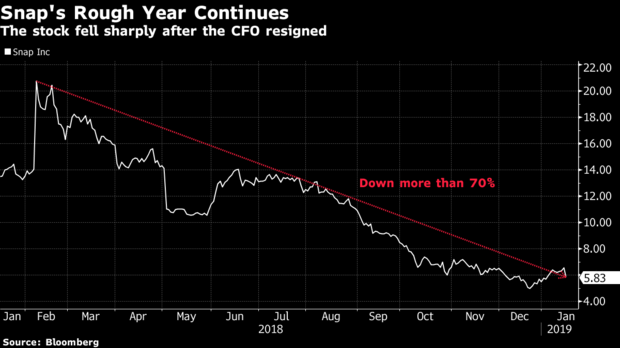 Snap Inc announced yesterday that Tim Stone, the company’s Chief Financial Officer is stepping down after only 8 months on the job, signaling to traders that the financial woes of the maker of Snapchat aren’t anywhere close to being resolved. Stone was a high profile hire from Amazon Inc. (NASDAQ:AMZN) and was seen as a mature presence on an executive team that has seen high amounts of turnover since its IPO in March 2017. His departure now does the opposite of assuring investors as it raises questions as to why a relatively new-hire would want to leave the role less than a year after taking it in the first place. CEO Evan Spiegel had only a few words to offer in regards to the matter. “Tim has made a big impact in his short time on our team,” Spiegel said via a memo to staffers. After the news broke yesterday, shares of Snap sagged by around 8 percent in after-hours trading, but that was only a preview of what was to come. Today Snap stock closed the day down nearly 14 percent, one of its worst days ever on the market. Looking back Snap is cementing itself as an utter flop when it comes to high-profile tech startups making it to multi-billion dollar IPOs. The company has seen its market value drop by over 70 percent since its high point last February. We’ve been keeping an eye on Snap, and none of this is a huge shock. Whether they’re firing core engineering staff or making massive advertising blunders, it seems the once all-powerful photo messaging app is a shell of its former potential. 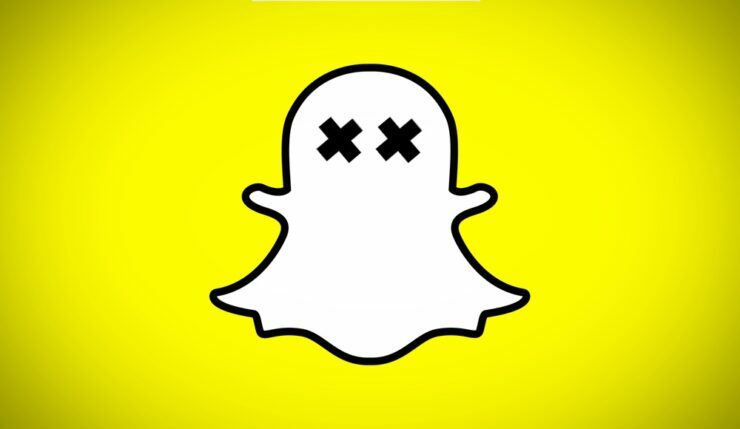 At one point, Snapchat all but commanded the 13 to 21 year old demographic and was widely hailed as an emerging social media platform for other ages too. The company saw fit to push a poorly executed app UI redesign that made viewing friends stories and messaging much more clunky, all in the name of making ads more viewable and thus improving monetization strategy bet. It’s hard to imagine how Snapchat can emerge victorious from its struggles. Active user numbers have continues to decline for two consecutive quarters while its chief rival, at least in terms of functionality, Facebook’s (NASDAQ:FB) Instagram and its Stories feature, only grows more popular. All eyes are on Snap Inc as it prepares to release fourth-quarter earnings results this February.